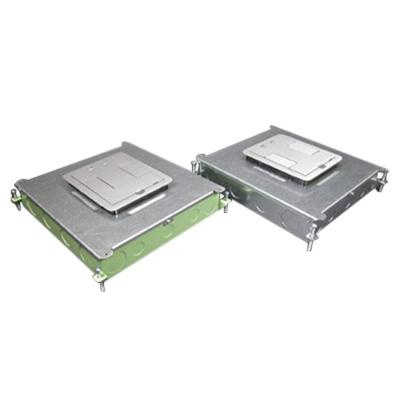 Wiremold Above-grade 6-compartment floor box is suitable for use in either concrete or wood floors. 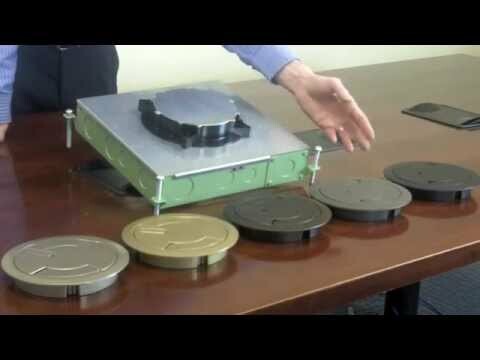 Multi-service recessed floor box features steel construction. Rectangular floor box measures 14-5/8-Inch x 14-Inch x 3-1/4-Inch. It accommodates power, communication and/or audio/video device that minimizes the need for multiple boxes. This floor box has 3/4 - 1-1/4-Inch knockout. It comes with two duplex mounting plates. Floor box is UL listed.